Made from semi-transparent circles and vector based elements. It has a beautiful light yellow 3D background. Smooth movement between slides. It has a cool effect when zooming in and moving from one slide to another. Change the slides, move them. Most of the graphical elements, images are separate and can be moved, resized. Move, scale and rearrange and don’t lose any quality while zooming in, because all elements are vector based. Zoom in and add your own content anywhere. Duplicate and add more elements. Add your text and logo, change a topic. You can use Prezi symbols and shapes to add more illustrations to the content. 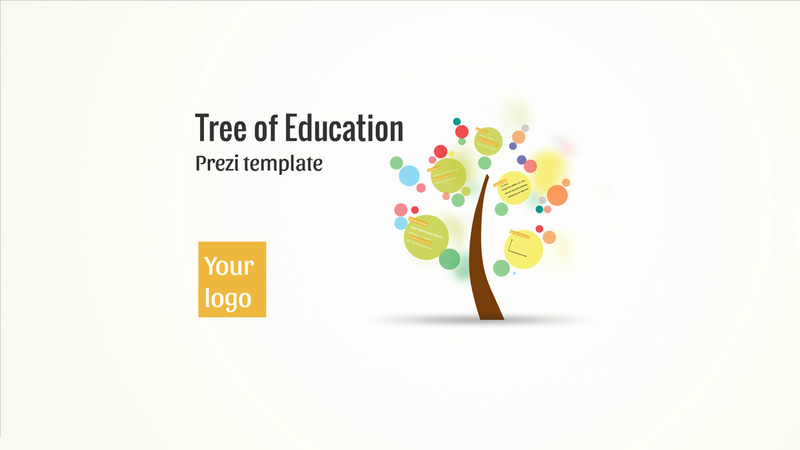 Tree of education Prezi template is useful for many topics – Education, business, infographics, data illustration, timeline. Change texts font and color. Add, resize and copy images. Delete and add new slides. 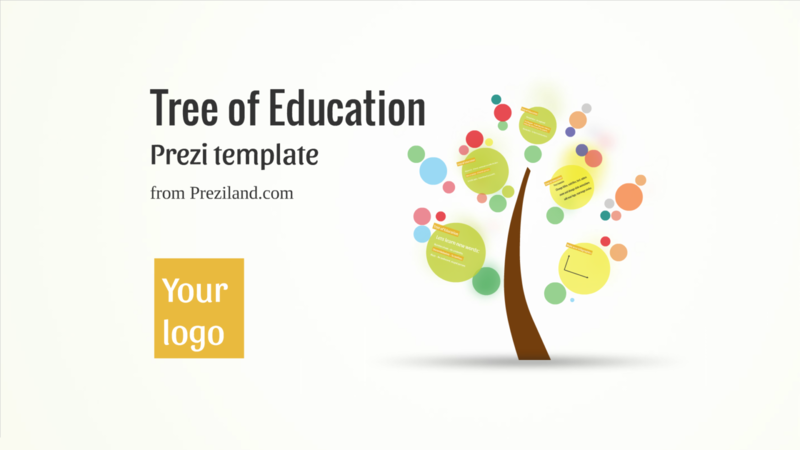 Add Prezi Symbols & Shapes. Add fun and surprise with your content. If you need different colors or visuals, then please contact us. Use the Contact Page (add the name of the template to your message). Also, you can contact us for template related questions or support. The custom design process can take about one week depending on the size of the project. During the work, you will get a private link to preview the Prezi. After that, you can approve the design or suggest changes.